Doctor Who News: Lynda Baron returns to Doctor Who? Lynda Baron returns to Doctor Who? Corden was joined on set in Cardiff by well-known British actress Lynda Baron, Karen Gillan, who plays assistant Amy Pond, and Arthur Darvill, who plays Rory Williams, plus two bus loads of shoppers and a baby. 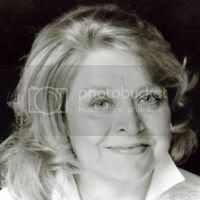 Lynda Baron appeared in the Fifth Doctor story Enlightenment (1983) playing Captain Wrack, and also sang "The Ballad of the Last Chance Saloon" that featured throughout the First Doctor story The Gunfighters (1966). Outside of Doctor Who she is probably best remembered as nurse Gladys Emmanuel in the Ronnie Barker sitcom Open All Hours. Update 9th March: No official confirmation of Baron's casting has been made at present, but the actress has been seen on location. TARDIS materialises on the Farm! Episode 2: Day of the Moon for Easter Sunday? Torchwood: Who you gonna call?